If you are planning to buy a used or secondhand engine but confused to get from where, it’s a genuine feeling because there are lots of places from where you can buy a used engine. But there is a difference. If you want hassle free secondhand engine search in less time, welcome to Engines for Sale, A place from where you can easily find and used and reconditioned engine of your choice. No matter what vehicle you have or in which year it has been manufactured, we have a huge ready to deliver stock available for sale for all types of vehicles. Although you are in a trouble when your engine is stuck in a problem or it stopped working, yet we have come up with a great solution for you. 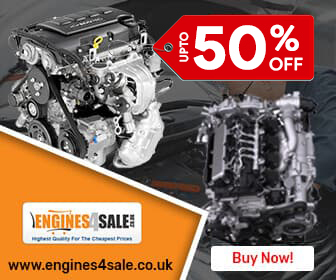 Buy any used engine at guaranteed lowest prices. Not only this, we also guarantee that with the efforts of our devoted and professional engine engineering staff, we deliver you the best used engines at competitive prices. Engine supply and fitting is the necessary part of engine replacement. We give you complete service including used and reconditioned engines for sale with engine supply and fitting service. 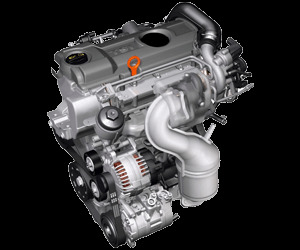 We offer very streamline process of used engine supply and fitting service. Just come to us and our engine swap specialists replace your used engine in no time with full efficiency. Engines for sale is the premium reconditioned and used engine platform that has only one aim, to save customer’s money. It is simple and free to get online used engine price quotes. Not only this, on buying any engine from us, we can save you up to 35%. So what you are waiting for? Simply entre your Reg. No and get money saving engine price quotes. Warranty is an important factor when you buy any engine. That’s why Engines4sale.co.uk always offer free standard warranty from minimum 6 to maximum 24months. The period of warranty relies on the type of engine you buy i.e. secondhand, less or newly and low mileage used engine. Generally, the warranty given for engine is 6 to 24 months, but for complete information, enter your Reg. No and get complete details on your required engine.